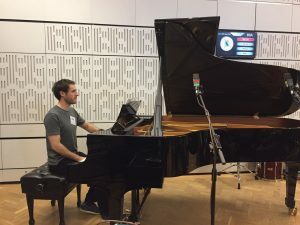 Our recording of Matthew Kaner‘s ‘Collide’ is being broadcast on the BBC Radio 3 Breakfast Show (6.30-9am) every morning this week. 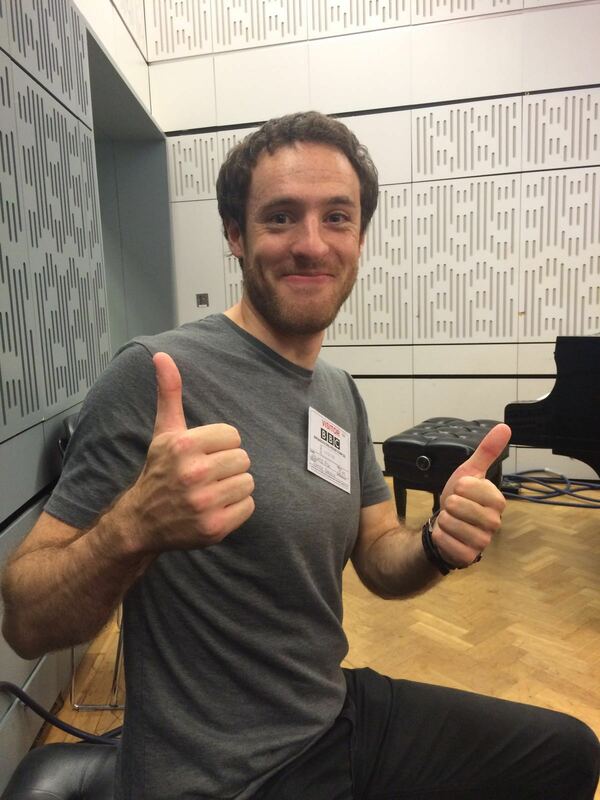 It’s the first piece in his Radio 3 Composer In 3 residency in partnership with Sound and Music. 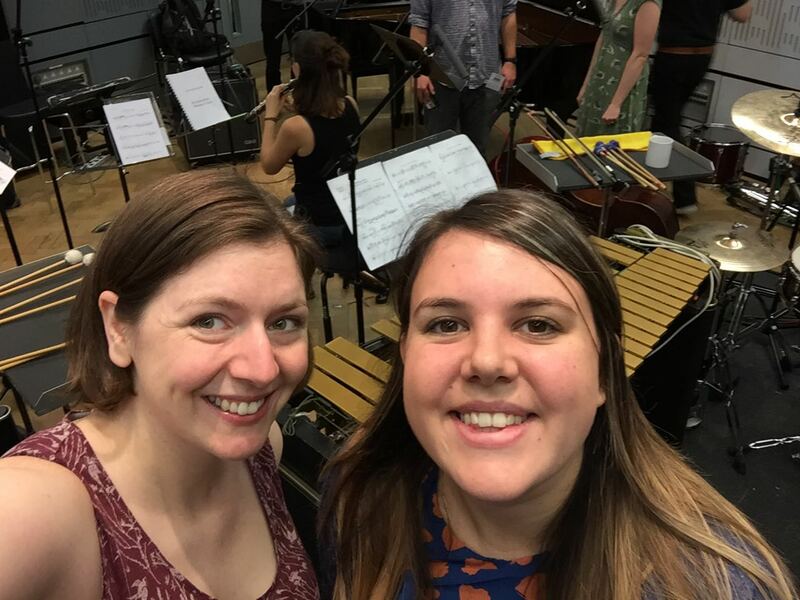 We’ve had some great success with our ‘Audience Commissioning Fund’ in the past from people who’ve been to our concerts, and we’re hoping this will be a natural extension of that idea! 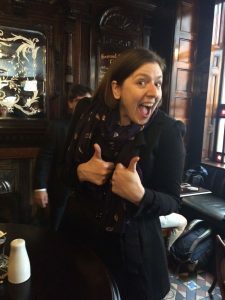 For the next month you can donate towards our next commission, which will be from exciting young composer Helen Papaiaoannou. It will be performed at the Nonclassical Monthly Club night on 12th April 2017. You can watch watch our video here, and donate at www.kickstarter.com. Thank you! 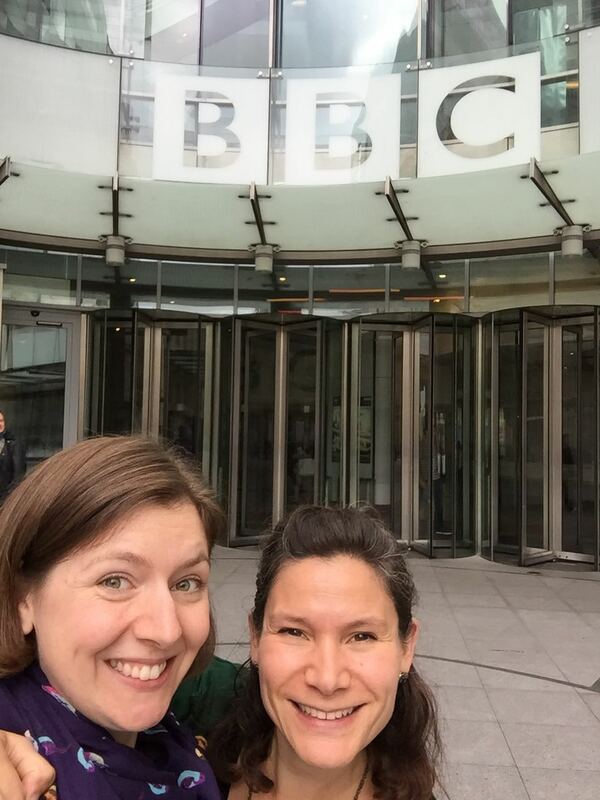 Last weekend we recorded Matthew Kaner‘s new work ‘Collide’ for BBC Radio 3. 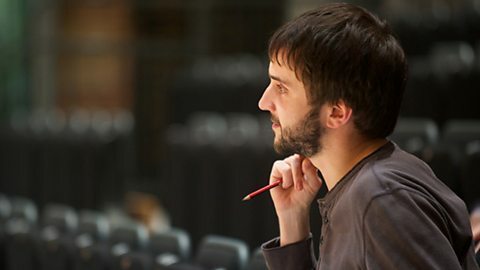 This is the first of ten pieces in his residency: Embedded: Radio 3’s Composer in 3 in partnership with Sound and Music. 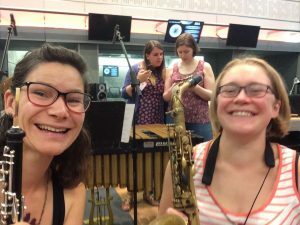 Well it’s called ‘Collide’ and, though short, it’s about contrasting musical ideas that keep on bumping into one another – some of these are very energetic, others more lyrical and reposed, and there’s one that only ever appears on a strange little trio (saxophone, marimba and double bass). Hints of influence from a few other composers who have written for similar ensembles (including Steve Martland, to whose memory the piece is dedicated) also pop up here and there in different ways. This is the 3rd piece you have written for WUE. What do you enjoy most and find challenging about writing for this ensemble? I love writing for the Workers Union! It’s a real delight and privilege to keep working with the same fantastic musicians again. 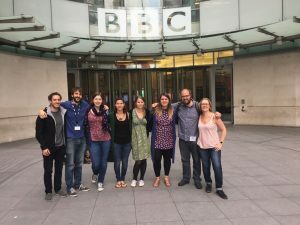 I think we’ve developed a real trust over the years, which means that I can write some very ambitious and challenging music, secure in the knowledge that they will work incredibly hard to achieve the results I want. They’re all really lovely people too, which always makes the experience very enjoyable. 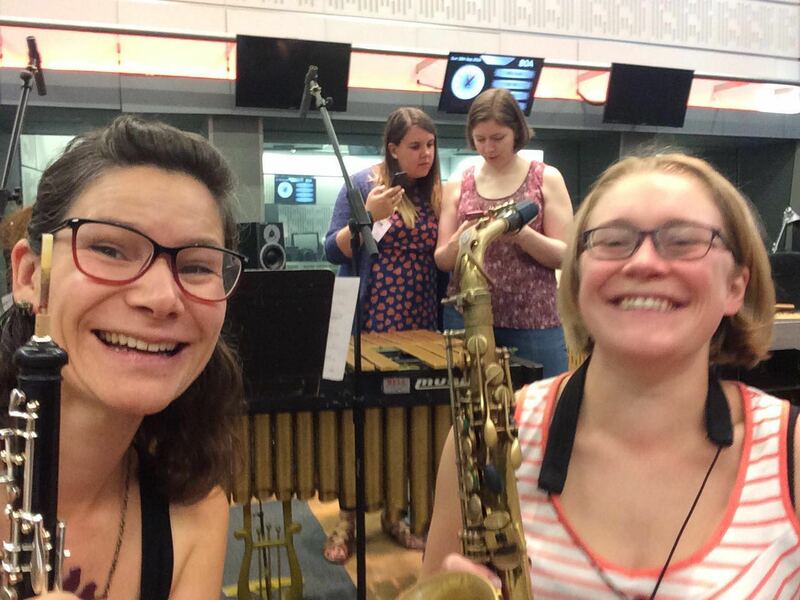 It’s certainly a tricky ensemble to balance: in particular the oboe is often at risk of being swamped by the other much louder instruments in the group, but there are ways round this. 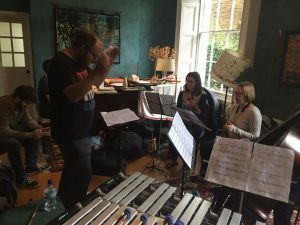 In this piece you’ll hear that I tend to place the oboe right at the top of the ensemble when they all play together, to make sure it can be heard (which means the part often gets very high – sorry Anna!). Otherwise I tend to treat it as an expressive solo instrument, behind which the ensemble is greatly thinned out in order to provide a suitably soft accompaniment. Is there anyone who you can single out as being the biggest influence on your music? All sorts of things – of course the composers mentioned above, but also lots of Donatoni, Jonathan Harvey, Andriessen, Kurtag, Jurg Frey, Ben Sorensen, George Benjamin, Unsuk Chin, plenty of the classics too – Bach, Chopin, Ravel, Bartok, Stravinsky, Berg etc., and lots of jazz – Miles Davis, Coltrane, Herbie Hancock, Joe Henderson, Robert Glasper, plus some jazz funk too (the last thing I bought was a new copy of Miles Davis’ On The Corner). This piece is actually part of an ongoing exciting project – it’s a residency with BBC Radio 3 in partnership with Sound and Music, to celebrate the station’s 70th anniversary, lasting 70 days. 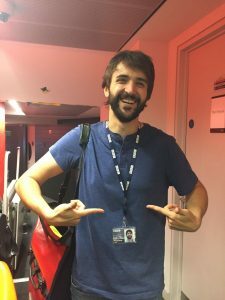 So each week you’ll hear a new short piece broadcast on Radio 3 Breakfast and some other pieces by me (both old and new) going out across the network during that 10 week period. I’ll also be speaking about my music and other exciting contemporary composers during that time. New Dots Tickets now available! Tickets for our New Dots concert on 16 April at the Warehouse are now available. Four great new works! Get in there for an Early BIrd Ticket! Workers Union Ensemble perform four new works including a new piece by Composer-in-Association Sean Clancy. We are delighted to be working with the excellent New Dots on a project in April 2016. We will be performing new works by composers selected from an open call Monika Dalach, Camilo Mendez and Nick Morrish Rarity. We will also premiere a new Workers Union Ensemble commission by our current Composer-in-Association Seán Clancy. More details to follow soon! Well it’s been a little quiet recently on the Workers front, but momentum is building now towards our 2016 collaborative project with Ensemble Krock. In the meantime, one or two of us are up to some pretty epic activities for charity. 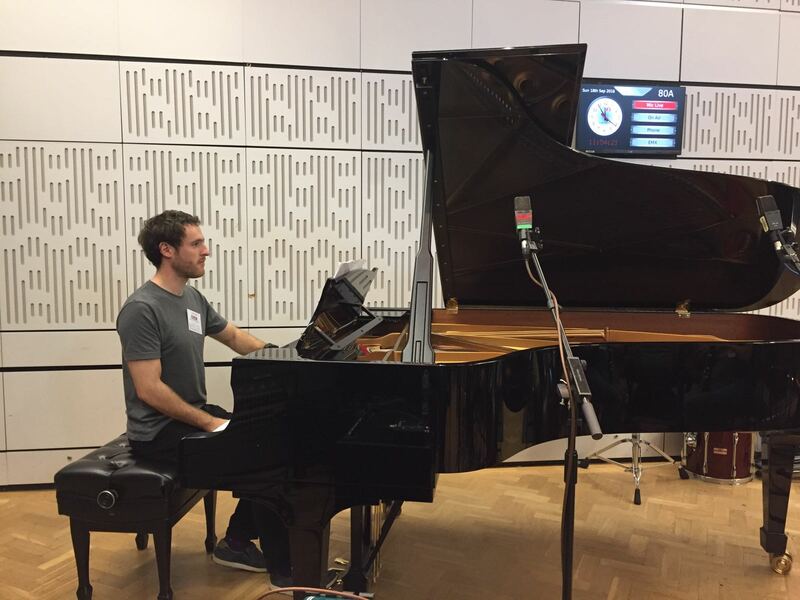 Pianist Edward Pick is about to cycle from Lands End to John O’ Groats (with his piano literally trailing behind him!) and our composer in residence Seán Clancy is walking from Birmingham to London. You can sponsor them by clicking on their respective links. We are chuffed that Irish composer Seán Clancy will be our Composer-in-Association 2015. He follows in the footsteps of Matthew Kaner (2013) and Ryan Latimer (2014). We are delighted to be working with Seán and Swedish guitar quartet Krock on a project, hopefully coming to a venue near you in the Autumn! More news on this soon!